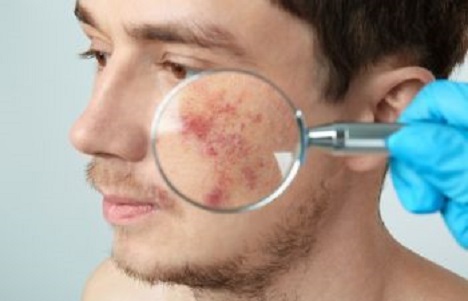 As the most pervasive skin condition in the U.S., some 50 million Americans struggle with acne. Interestingly, while everyone’s skin is fundamentally the same, the skin’s reaction to hormonal fluctuations, oils and bacteria is not. As noted in an article by Marie Claire, even those that adhere to a prescription skin care regimen and avoid dairy, soy and sugar are not immune to getting zits. Given the constant flux of seemingly perfect people in advertisements, magazines and television, it’s clear that acne affects more than the skin, as it takes a toll on one’s emotional health. Furthermore, while one might be tempted to pop the occasional pimple, the American Academy of Dermatology warns that do-it-yourself pimple popping can backfire. Why shouldn’t you pop a pimple and when is it okay to pop a pimple? When is it okay to pop a pimple? What do you do after popping a pimple? What should you apply to help heal the pimple? What should you apply to avoid acne scarring? For the most part, individuals shouldn’t pop a pimple themselves. Doing so puts them at risk for more inflammation and hyperpigmentation, not to mention it often leads to a bigger pimple than before. What’s more, there’s the chance of infection, which is due to a portion of the capsule getting trapped. Without question, this can make acne more noticeable, painful and can prolong the lifespan of the pimple. On the other hand, if a person has a hot date, he or she might take a chance and pop his own pimple. In this case, it’s helpful to expose the skin to warm steam from a shower first. Next, cleanse the area with rubbing alcohol, and use two clean Q-tips to firmly press around the area of the pimple for complete extraction of the capsule. Finally, spot treat the area using a Q-tip with glycolic/salicylic acid serum. If a person has darker skin, use SPF to guard against post inflammatory hyperpigmentation. If forced to pop one’s own pimple, it’s important to know how to prevent acne scarring. Perhaps the best way is to visit a dermatologist or Nurse Practitioner specializing in dermatology and/or aesthetic medicine. In fact, addressing acne should be done preemptively and proactively to lessen the chance of developing scars. Acne scars occur from either picking or an overproduction of sebum in which P. acnes bacteria causes infection and inflammation in the form of a painful cyst beneath the skin. Upon visiting a doctor, a patient might be injected with a temporary solution such as Triamcinolone or “cortisone,” though more physicians are using off-label 5-Fluorouracil due to its lower risk profile. Ultimately, to prevent permanent acne scars, the best option is to address the source of the problem. Conventional treatments have involved antibiotics, hormone antagonists and topical agents. Accutane, which is considered the gold standard in the treatment of cystic acne, has successfully treated teens and adults of all ages. Meanwhile, there are non-pharmaceutical alternatives that target cystic acne. One such solution is photodynamic therapy treatment paired with a stringent topical acne program using colloidal silver antimicrobial spray, high potency tretinoin, glycolic and salicylic acid. During treatment, individuals forego using any products with oil. Once oil production is better managed, patients undergo a dual approach of subcission and undermining of scar tissue, as well as skin resurfacing with the CO2 laser or clear and brilliant. Finally, TCA blue peels minimize global acne scarring with more aggressive resurfacing. Through a unique combination of treatment modalities, Dr. Ben Talei at The Beverly Hills Center for Plastic & Laser Surgery utilizes medical, laser (non-invasive) and surgical treatments to provide the most advanced outcomes for those suffering from acne. 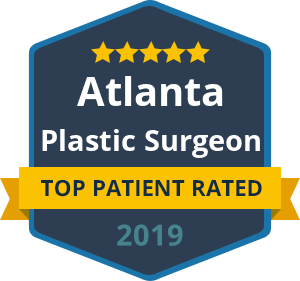 As a dual board certified facial plastic surgeon, Dr. Talei is well-known for helping patients achieve natural, long-lasting results and impeccable facial aesthetics. In turn, he understands the social pressures and stress that skin irregularities can cause. Thus, Dr. Talei and his staff are attentive to the unique needs of patients, as they work alongside dermatology colleagues to ensure effective treatment for acne with superior results. Providing leading edge acne treatments designed for your unique skin, the Beverly Hills Center for Plastic & Laser Surgery welcomes your call today.